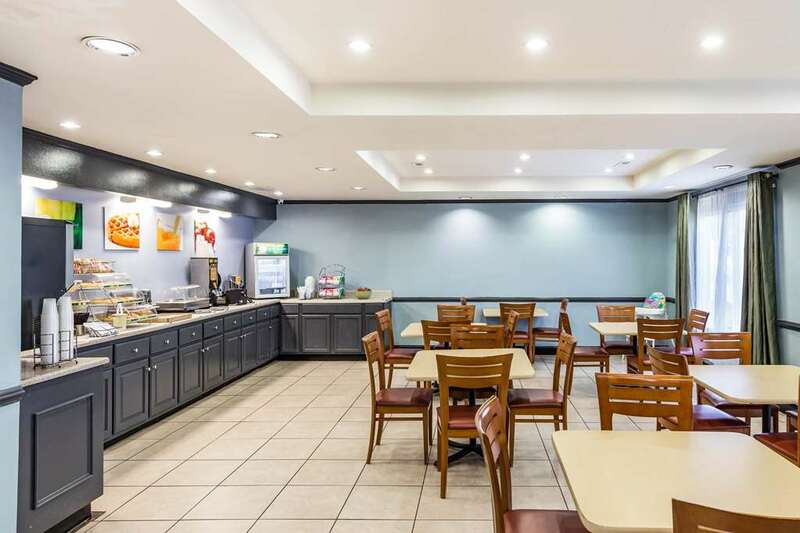 The Quality Inn and Suites is an inexpensive hotel in Spartanburg, SC, just minutes from the University of South Carolina Upstate and the Chapman Cultural Center. When business travel puts you on the road, we help make sure you get more for your money, with access to our 24-hour fitness center, free WiFi, free hot breakfast, and guest laundry services. When you are ready to settle in for the night, our smoke-free guestrooms feature TVs, hair dryers, coffee makers, desks, irons and ironing boards. Also, earn rewards including free nights and gift cards with our Choice Privileges Rewards program.